Baseball Northwest is proud to be the Northwest’s exclusive representative into Prospect Wire’s invitation-only event: the 4th annual North vs. South tournament (formerly the East vs. West tournament) for the 16U & 17U ages, June 17-19, 2019. The event consists of 10 of the top teams in the country and takes place at multiple sites in the San Diego, CA including Point Loma Nazarene University and University of California, San Diego. 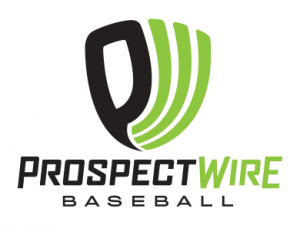 This tournament hosted by Prospect Wire boasts many of the country’s best travel teams providing excellent competition against some of the best players from around the country. With the level of talent attending and its location in Southern California, this event is guaranteed to draw college coaches and professional scouts, especially from the vast number of California schools in that area. The tournament host Prospect Wire has a large social media following and does a fantastic job showcasing talented players over the internet with videos, pictures, and stats. That means a player who attends a Prospect Wire tournament not only is seen by the recruiters in attendance but by recruiters across the nation on social media. Teams who have participated in this event include: Evoshield Canes, NorCal Baseball, T-Rex Baseball, Chet Lemon’s Juice, SGV Arsenal, San Diego Show.